A snowboarder takes lessons from a former champion, inspiring him to reach for the stars once again. Two surfing lovers, whose doomed relationship is nearing to a close, find themselves swept into a a dimension traversing wave that sends them into a beach movie musical in the 60's. Teenage tech whizzes unwittingly use military software to program a robotic boyfriend. 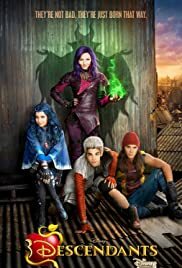 Ben, son of Belle and the once selfish Beast, is poised to become next on the throne, however he is not ready and allows the villain kids from the Isle of the Lost to attend Auradon Prep. From there, things go way down hill. Ben: I can look into your eyes, and I can tell you're not evil. Definitely a cute little movie, and certainly worth a watch. The plot may be clichéd to a point, but the characters are pretty likable and the overall atmosphere is fun. 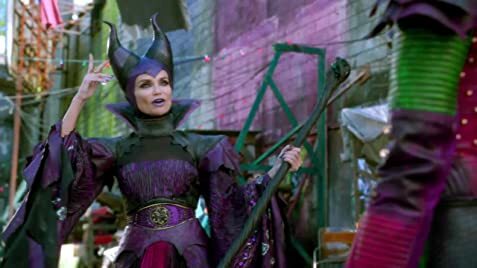 Kristen Chenoweth is delightful as Maleficent, and even adds a couple of nods to Glinda, something which other Wicked fans are sure to pick up on. Unlike some family comedies, this one doesn't rely on crude humor to be funny and instead remains appropriate for all ages. Disney fans will enjoy the little tributes to some of the classics. I would definitely recommend this film to anyone looking for some light, musical entertainment. I'm looking forward to the sequel!